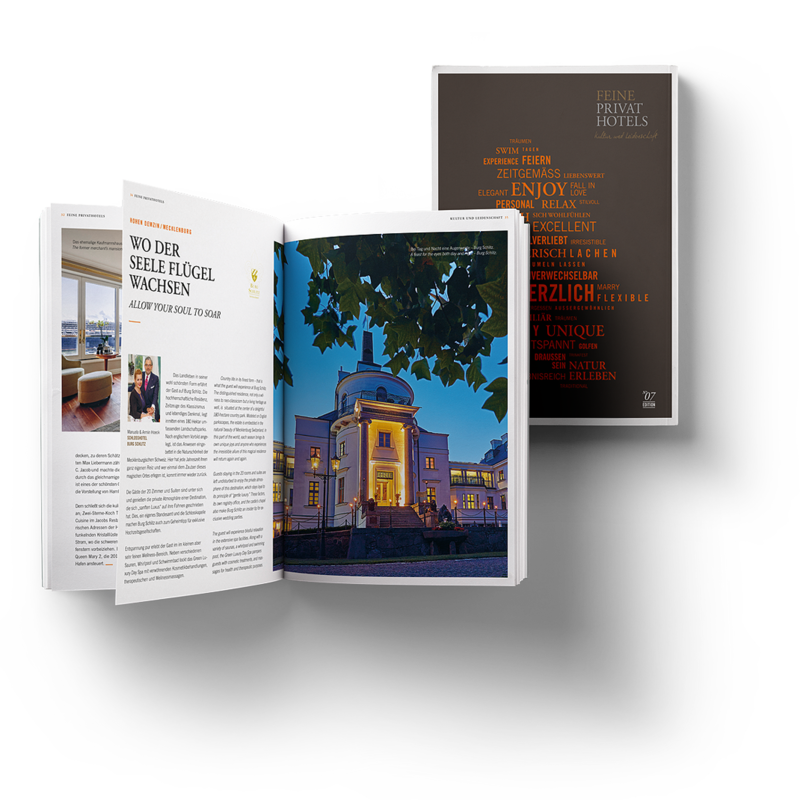 Acquaint yourself with the most beautiful pages of our hospitality and order the new brochure free of charge. Here you can find out all about our philosophy and, of course, and discover the unique hotels that have joined the FEINE PRIVATHOTELS. Lean back, make yourself comfortable and immerse yourself in the world of FEINE PRIVATHOTELS.